Twisted Cedar 2013 Petit-Petite is a true fruit-forward wine, 53% Petit Verdot and 47% Petite Sirah offer juicy blackberry and bold blueberry notes; vibrant in color, aroma and flavor. Certified sustainable through Lodi Rules for Sustainable Wine Growing, Twisted Cedar wines reflect a commitment to quality wine and responsible stewardship. 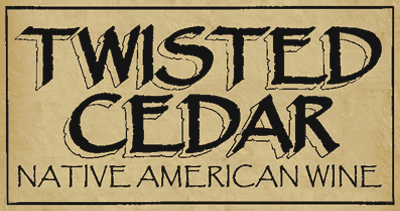 The Twisted Cedar name honors the Cedar Band, one of 5 Bands of the Paiute Indian Tribe of Utah, named after the cedar tree that heavily populated their land. Dedicated to being good stewards for Mother Earth, these fine wines are a tribute to a proud people. Juicy blackberry and bold blueberry notes; vibrant in color, aroma and flavor.